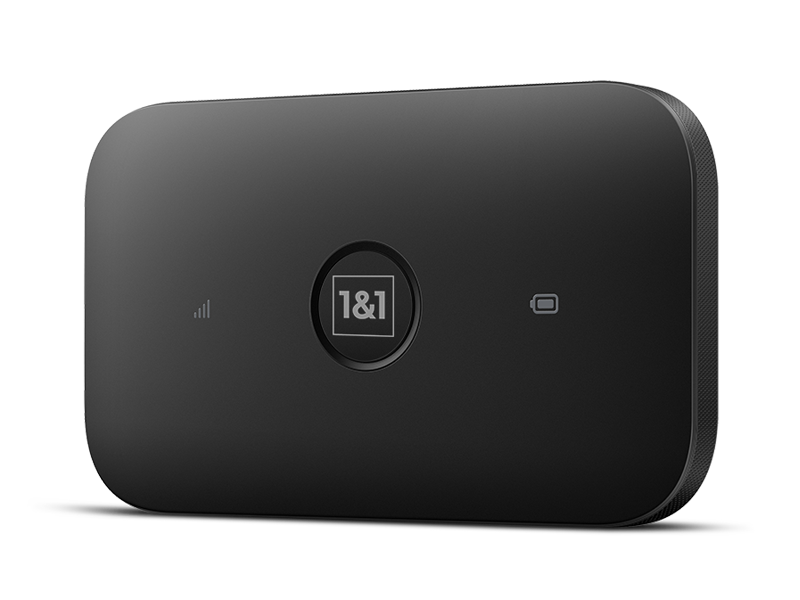 1 & 1 has now a new mobile WLAN router with LTE support from Huawei in its product range, which the customers can use with a notebook or tablet. The router is the Huawei E5573 in black color. 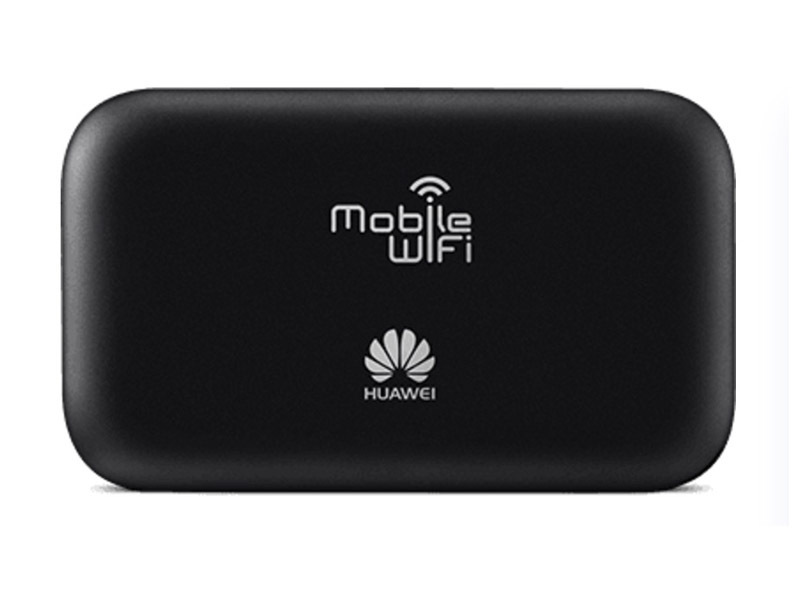 The small LTE router Huawei E5573 looks cool and is very similar to its predecessor such as Huawei E5577 and E5373. While the Huawei E5573 router is included in the package with a 1 & 1 Tablet-Flat as a free start gift, the prospective buyer for the mobile device may also benefit from the contract. A minimum contract term of two years applies. With the mobile router Huawei E5573, up to 14 devices such as smartphones, tablets or notebooks can connect to the router through WiFi and then access internet. Thus the user does not have to use his own mobile phone access for surfing the Internet. The owner has the possibility to set up a WLAN password protection so that only authorized persons can access the mobile WLAN router with LTE. The Huawei E5573 can either be connected in the mobile network via LTE or via UMTS. It should automatically select the fastest mobile connection. According to 1&1, the the 1 & 1 version of the E5573 also has a WLAN extender function, depending on availability, the router also connects to the Internet via a 1 & 1 Home Server at home or via a public WLAN hotspot. The original Huawei version of the E5573 also offers this function. With the dimensions 104 x 65 x 14.6 millimeters and a weight of 106 grams, the mobile WLAN router with LTE support fits in any trouser pocket and is lightweight. The Huawei E5573 supports LTE speeds of up to 150 Mbps downstream and up to 50 Mbps upstream. According to the manufacturer, the 2300 mAh battery should have a standby time of up to six days and a continuous operating time of up to eight hours. The WLAN interface allows a maximum speed of 300 MBit/s and operates in the frequency range of 2.4 GHz or 5 GHz. WLAN ac is unfortunately not supported, which is due to the not too high LTE speed of “only” 150 MBit/s. It’s a pity that the Huawei E5573 has only one signal and battery indicator on the front, they are just located at the two sides of the power button. Unlike the latest model Huawei E5787 or Huawei E5786, user can’t read the connection information from the front. Users have to get the information from the huawei mobile wifi APP or log into the web interface for more details. Of course, the Huawei E5573 offer lower price than the Huawei hotspots with screen. But we still think the screen is necessary.